Puma has been on the cutting-edge of design and innovation of late, while gaining traction in the market and street cred by partnering with some of the world’s biggest and coolest celebrities such as The Weeknd with his newly released XO range, Rihanna with the popular Fenty range, as well as Big Sean. As a result of these partnerships and the ever-growing sneaker market, Puma, riding the highs of its recent popularity, has engineered one of the most outrageous and innovative sneakers to date, the Puma Jamming. The world is ever-changing, and fast at that. And this is why Puma knows it needs to stay ahead of the game. 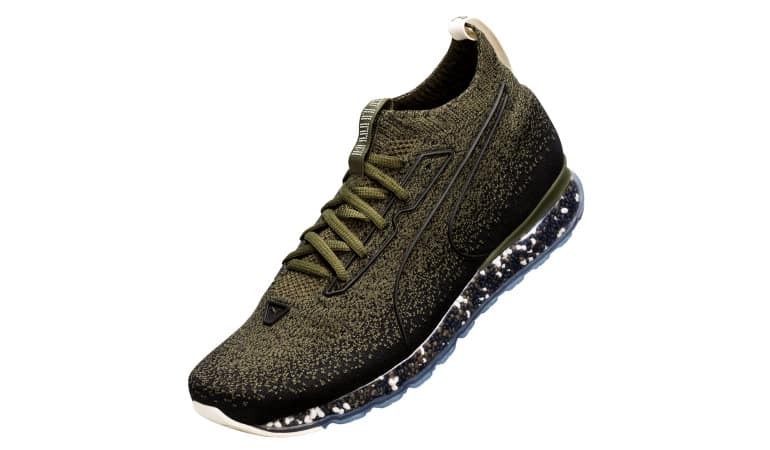 Puma’s new sneaker, the Jamming, features cutting-edge tech, including the all-new “NRGY beads” in the sole of the shoe, which allows it to provide unrivaled comfort as well as energy return. In addition to providing maximum efficiency and comfort in one go, the sneaker was also designed to look the part, turning heads wherever you go – hitting the streets, heading out on the town, or as part of your daily run. The sneaker’s new tech, the raw NRGY beads, in the sole of the Jamming move freely inside the clear midsole with each step you take, creating the “jam” effect (the beads jamming together) as your foot plants. The resulting process creates the ultimate comfort with each movement, with cushioning customised to your every step. Completing the comfort alongside the filled transparent midsole is the rubber outsole. 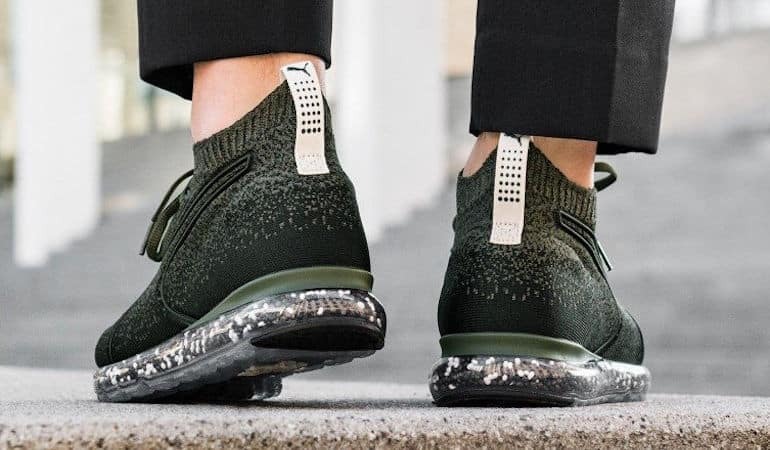 The new silhouette features Puma’s proprietary evoKNIT technology on its upper, along with its durable PU sock liner for step-in-comfort, further enhancing the shoes flair and style. The is completed by means of a modern lacing system, as well as branded pull tabs to the heal as well as the shoe’s tongue. 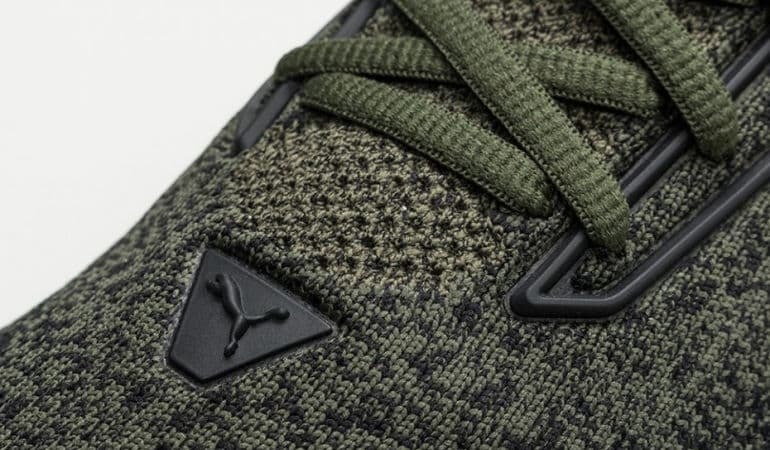 The Puma Jamming’s first drop will be available in olive green, otherwise known as “Forest Night”, and has officially dropped today, 9th November 2017. The sneaker will be available exclusively at Puma Select and X-Trend stores for the price of R2,699. Puma is set to expand on the single colourway, which is set to drop in the first half of 2018. For more news, views and drops from PUMA, follow me on Instagram.